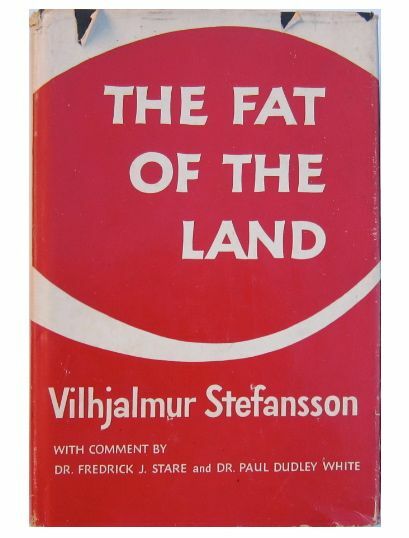 The Fat of the Land by Vilhjalmur Stefansson | Eat Meat. Drink Water. This entry was posted in Classic Books, Resources and tagged All Meat, Diet, Eskimo Diet, Eskimos, Fat, Health, High Fat, Keto, Keto-Adapted, Ketogenic Diet, Ketosis, LCHF, Low Carb, Meat, Nutritional Ketosis, Paleo, Paleolithic, Primal, Stefansson, The Fat of the Land, Vilhjalmur Stefansson, Zero Carb by esmeelafleur. Bookmark the permalink. Awesome! Thanks for putting this book in an easy to find spot Esmee – I’ve been recommending this so often lately it’s nice to see you put it here! My pleasure. An easy way to find the link, too, is to go to my Resources page where it is one of the first books on the list. Thanks Esmee! Downloaded and on the book shelf. Hello, You may be interested in epub/mobi/azw3 – for eInk readers – versions of Fat of The land https://clairetlipide.wordpress.com/2014/08/31/the-fat-of-the-land-vilhjalmur-stefansson-ebook-epub-azw3-mobi/ (click on the image of the book) !